Snow Patrol return with Wildness! Snow Patrol are an alternative rock band that formed in Dundee, Scotland, United Kingdom in 1994 and currently based in Bangor, Northern Ireland, where most of the band members are from. They consist of Gary Lightbody (vocals, guitar), Nathan Connolly (guitar, vocals), Paul Wilson (bass), Johnny McDaid (keyboards) and Jonny Quinn (drums). Lightbody and Quinn are the only original members who remain in the band. After a seven-year hiatus (!) the five-piece have returned with a brand new album, Wildness, and a brand new tour! Their 2005 album Eyes Open, is home of one of the most emotionally potent tunes of the 21st century, Chasing Cars. With over 100,000 radio plays in the UK, 2m downloads in the US, and the accolade of "Best Song of All Time" from the listeners of Virgin Radio, Chasing Cars also had the rare distinction of closing the BBC's long running TV chart show Top Of The Pops in July 2006. The effect was phenomenal, leading to Eyes Open selling 4.7m copies worldwide. Seen Snow Patrol? Loved it? Hated it? Sound good to you? 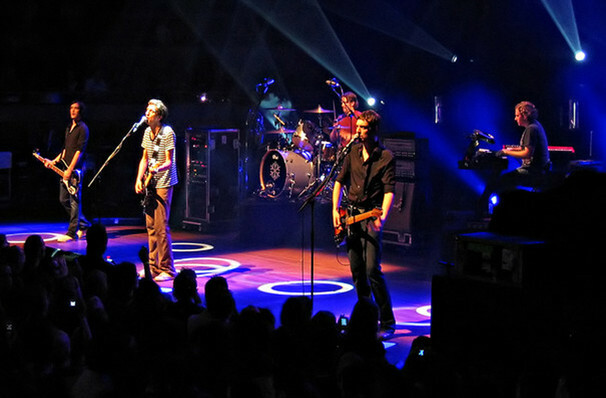 Share this page on social media and let your friends know about Snow Patrol at Tower Theater. Please note: The term Tower Theater and/or Snow Patrol as well as all associated graphics, logos, and/or other trademarks, tradenames or copyrights are the property of the Tower Theater and/or Snow Patrol and are used herein for factual descriptive purposes only. 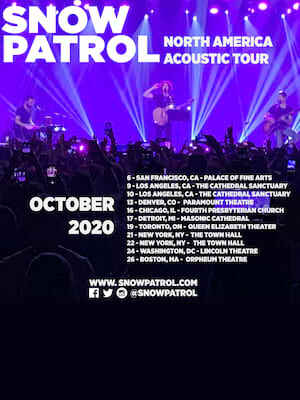 We are in no way associated with or authorized by the Tower Theater and/or Snow Patrol and neither that entity nor any of its affiliates have licensed or endorsed us to sell tickets, goods and or services in conjunction with their events.